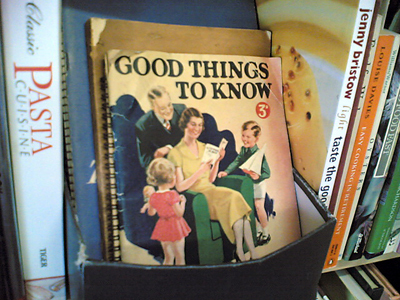 I spotted this book in the recipe section of the secondhand bookshop in Oxted. The shop is actually called The Secondhand Bookshop. 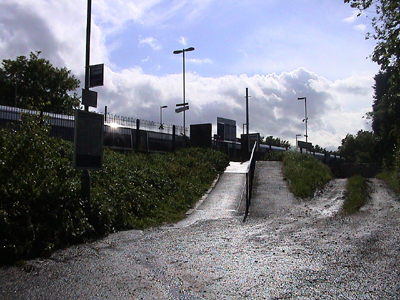 This is a photograph from a short video I made entitled Waiting for a bus, with the intention of loading it onto You Tube. I didn’t have time to load it, and may not do so now. This is Platform One at Godstone, a station which (inconveniently) has no ticket office. 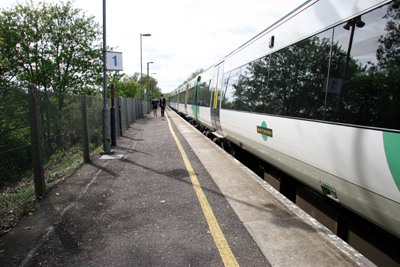 Situated in South Godstone, the station is managed by South Eastern Trains, and services three routes: London Bridge to Stroud, Gillingham to Three Bridges and Tonbridge to Three Bridges. is considered extremely destructive to native trees and the only native squirrel species, Sciurus vulgaris [the Red Squirrel]. 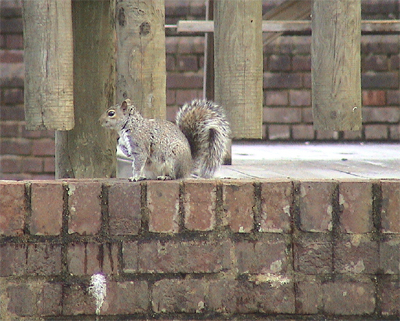 The Grey Squirrel has made it to the Invasive Species Specialist Group of the World Conservation Union’s list of “100 of the World’s Worst Invasive Alien Species.” British and Italian environmental groups have ranked the Grey Squirrel as second in negative impact only to the Norway rat (Rattus norvegicus). 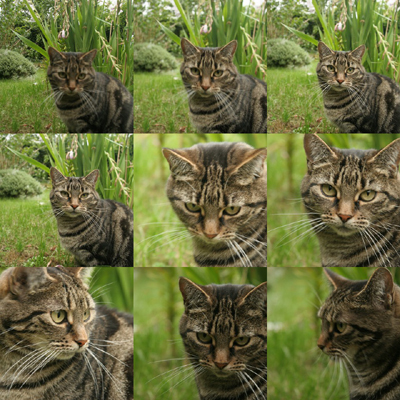 Source: Introduced Species Summary Project. The Grey Squirrel may be carrying a virus which is deadly to the red squirrel, but harmless to the grey. That said, it out-competes the red squirrel for food, and is damaging to trees as it can strip them of their protective bark, exposing them to disease. Grey squirrels feed on nuts, flowers, fruits, seeds, tree bark, fungi as well as bird eggs, nestlings and frogs. I have posted about her before, here, here, here and here. These are not new photographs, but I have been very busy this week so am pulling out archive material. 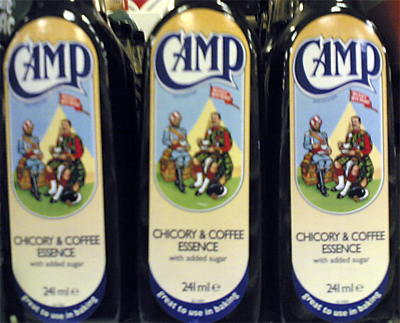 Camp Coffee is marketed as coffee and chicory essence with added sugar, but strictly speaking - at 4 per cent coffee and 26 per cent chicory - it is sugar with added chicory and coffee. The wording at the bottom of the label reads “great to use in baking”. The picture shows a Sikh and a Scottish soldier sitting in front of a conical tent. There’s an ambiguity in the name of the product, but one assumes (as an old-food product, the tent is the dominant influence). The product was originally produced by a Scottish company, R. Paterson & Sons (see company history). It was rain and more rain today, but at least there were sunny moments in between such as in the photo above. As I commented over at Kipperfrog a couple of days ago: If this drought gets any worse we are going to need lifeboats. 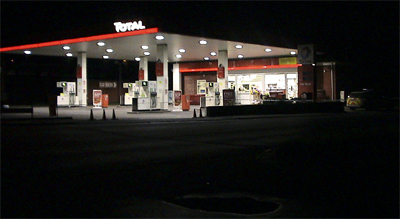 This is the scene this evening of the service station in Oxted where there was a police incident earlier. The station has been cordoned off with tape by the police and the patrol van is guarding the station. Inside a member of staff (?) appears to be doing a stock-take. The police guarding the service station were not very talkative and did not volunteer any information. 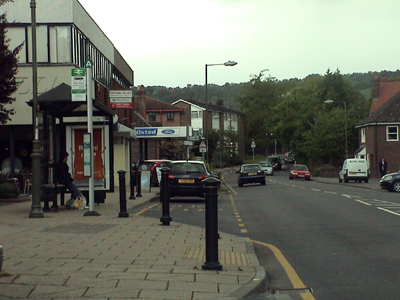 A few years ago Surrey Police had issued an appeal for a witness after a robbery at this same service station on 1 April 2002. The Surrey Police site is quite cool because you can search for incidents based on key words. For example here are all incidents with the keyword Oxted in them.